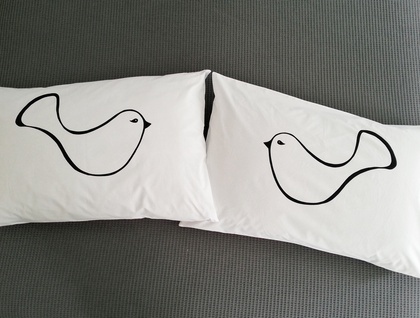 Sweet and simple "Love Bird" Design hand printed onto 300 thread count, 100% cotton pillowslips. 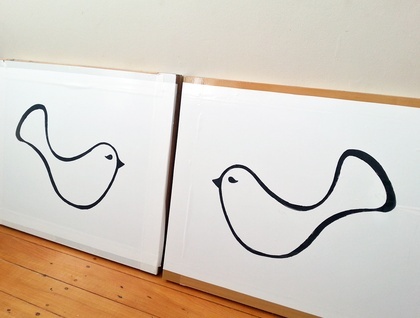 These screens are individually cut by hand from my own design. The ink is heat set, cold machine or hand wash inside out is recommended. 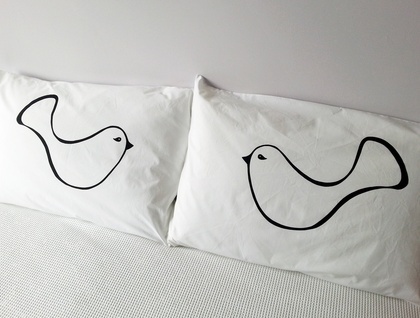 Please note the pillowcases have been prewashed and are ready to use. I always use non-toxic, water based eco-friendly inks. Each pillowcases measures 75cm x 50cm (roughly). Great gift for weddings, lovers, or family and friends living overseas! If you would like a single "Love Bird", please message me.